I received an email from a procurement professional in North America who was responding to my post last July on “The damage caused by poorly managed RFPs”. It is almost a year ago this was published, so they are lucky that this was not an RFP as clearly they would be non-compliant. I wonder why it was sent as an email when it could have just as easily been posted as a comment on the post, which I encourage as I think it is important that as an industry we discuss these issues openly. Therefore to continue this conversation I have reproduced the email here (without attribution as I do not have their permission to attribute this as yet). But I think it is insightful into the mindset of this particular procurement professional regarding their attitude to suppliers. 1. Why are you inviting me to tender? The friends and hangers-on. Those that had approached us in the past for business, but that we haven’t been able to help because we have a contract with someone else; or those that have bid in past projects but have lost. What we find through our regular sourcing procedures. Sometimes this works, and sometimes it doesn’t. That’s why it’s very important to be a #1 or #2. It is the role of the procurement agent to make sure that the invitee is the right fit, but accurate and honest information from the supplier is oftentimes difficult to come-by. i.e. It is not uncommon for suppliers to exaggerate what they can do. This is a real concern that as a procurement professional you are simply relying on such an ad-hoc approach to supplier long-list creation. The other issue is that it relies too heavily on reputation and not fact-based analysis of supplier capabilities and expertise such as we have in both our Agency Register and through our access to systems like Calibr8or. 2. How many companies are you asking to tender? I get asked this a lot and my answer is always the same. How will your bid change if there are 5 or 10 invitees? Will you offer more services? Will your price differ? The answer is it will not change in the slightest so why should it matter? When asked, companies always say they are the best and brightest, so the procurement process is your opportunity to finally get to show it. This question is a real irritant, because it adds no value, diminishes the value of the business that I’m offering you and makes you seem arrogant. Also, if you decline to bid because I have a bid list of 6 and not 5 – don’t expect to get another invite. Sheer arrogance and an overt sense of entitlement in thinking that every invitation to a supplier to participate in a tender will automatically be in the affirmative. Knowing the number of people asked to participate will not change my response, but it will allow me to assess if this is a process I want to participate in. 3. Are you willing to share the process? The procurement process should be clearly outlined. Interviews or meetings are often listed as “maybes” simply because we do not know what the process will expose and they may not be necessary at all. The supplier-side asks lots of questions (for good and valid reasons or for clarification) or just to make me crazy; the endless requests for deadline postponement. I’d venture to say probably 80-90% of all RFP’s (not RFQ, RFT or RFI’s) have requests for extensions. Isn’t this just simply an excuse for poor stakeholder and project management? And isn’t that something that procurement or purchasing is responsible for in the process? In managing a tender, we insist on planning the process to the day and ensure every stakeholder is committed to the timeline with all relevant meetings in their diary before we engage potential suppliers. Also, on a more basic level – if I tell you it will be done in 2 weeks, then in 2 weeks you’re going to call me. And you’re going to call me every hour until you get an answer. And then you’re going to call the vice-president and complain that the process is taking too long. And then it spins in circles, because, invariably, if it had been finished, you’d be the first to know. It becomes an endless cycle of nightmarish supplier management. This would only happen if there was no open communication or if the process became unreasonably protracted. I have found that if you treat people professionally and maturely then they are likely to respond the same way. Perhaps their experience is different to this because they clearly treat their potential suppliers as a nuance so perhaps this encourages them to become the same. That doesn’t excuse the Procurement agent that ignores the suppliers though. They should keep an open communication, especially when the timeline is unexpectedly protracted. 4. Who are the decision making stakeholders? Simple answer. None of your business – at this stage. Because, the moment I hang up the phone after telling you, you’re going to call them. 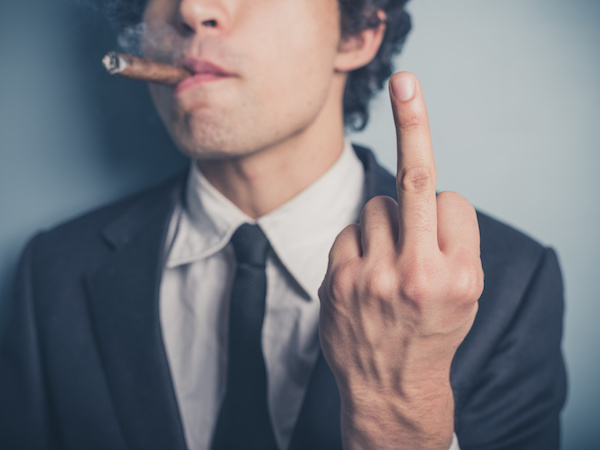 You’re going to call them and tell them how great you are, and “Why are you going to RFP” and “Can we come in and meet you” and “Oh do you know so-and-so, I just had lunch with” a million other questions that my client has neither the time, nor the interest in answering at this point. Your only goal here is to get around the process. That’s why I won’t tell you. I am not sure who they have been dealing with but the reason for this question is to understand the level of importance of the process and the perspective of the assessment. Both reasonable for suppliers to understand. Have you noticed there is a real patronising tone in the responses here? Once we get the shortlist, and we have a scheduled presentation, then you’ll get a list of everyone and their roles. 5. Can you provide an indication of the scope of the project? This is a little tricky. Typically, the budget is not something that we like to produce. Basically, because the suppliers will then set their price based on the budget (don’t say this is not true…it is). So I will venture a range if pushed – “bigger than a mouse” or “smaller than a breadbasket” are my typical, yet, remarkably unhelpful answers. The real answer is this: “We” are not experts. “You” are. That’s why the RFP process exists. The marketplace is in the best position to answer the question “How much?”. Not the client, who may have been overpaying, underpaying, getting the wrong product or otherwise inappropriately serviced for years, and definitely not procurement who are responsible, not for the product, but for the “process”. Yes, how long is a piece of string? Many RFPs ask for very specific services and then cop-out by suggesting that the supplier can provide alternatives. Talk about working in the dark. Clearly like many procurement professionals they only understand price and have no concept of value because they are unable to provide any indication of what is the value of the service. All the RFP process is designed to do is define a price. 6. Are your RFP requirements commensurate with the size of the project? This is a valid comment. Unfortunately, and especially with regards to government tendering processes, the procurement process is very tightly controlled and regimented and the consequences for an agent that disregards this process can be severe. We have kids and mortgages too you know. Do I want to risk all that because a supplier finds that there is too much paperwork? Probably not. And probably, government contracts are not for you. Sadly Government and large corporations have a lot in common. Except that perhaps Government offer better payment terms than many multinational corporations! Yes! Of course. Post-award supplier management is a procurement responsibility. Not only because it is the polite thing to do, but because I genuinely want you to do better next time – and – selfishly, I want you to bid again. Supplier asks for details on reasons for loss. Procurement agent, thinking he’s being helpful, shares. Clearly someone does not like to be held accountable or to provide transparency on the process. Interesting that the same level of accountability and transparency they believe they can demand from their suppliers, they refuse to provide themselves. It is clear that the bidder didn’t lose for one single thing or another. They lost for, what I call a “Picnic Basket” of reasons, but the bidder, on the other end, is so desperate, that they will take any information they can to try to submarine the legitimacy of the exercise. That’s why your constructive feedback is so sparse. How can a supplier improve if all they get is vague, non-specific feedback with no clear direction? We give our agencies and suppliers very detailed and written feedback with suggestions on specific areas for improvement. If they question the feedback against the criteria of the RFP we will then discuss this to alleviate any concerns or misunderstandings. In every case it is valued and appreciated. 8. 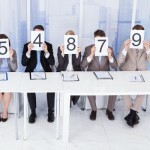 Will you provide metrics on our RFP scorecards? No. I will give you “Top third” “Bottom third” type responses. I have no need to provide “complete transparency” to you because that means I will provide it to everyone else. Would you be comfortable with all of your competition knowing that you scored 12% on one criteria or another? Or that, we are uncomfortable with the fact that your company currently has 4 lawsuits pending or that your credit rating is below average or that when we did your reference checks that your customer base complained about “lengthy turn-around times”? As for financials – same answer. If I tell you you are 15% off the winning bid, then I just gave you your competition’s price. I’m pretty sure they would see that as a competitive breach. This is such simple thinking. We provide each supplier with an indication of their scored performance against each criteria against the average and the highest and lowest score. I am not sure why they suggest they would need to share details like lawsuits and credit ratings, but I think they are just being petulant and childish. The fact is for criteria like this you are usually compliant or non-compliant and this is again worthy of providing as feedback to the specific supplier impacted. 9. Will you let us know if we are unsuccessful? Yes! Of course. See answer #7. You should receive an official letter from the RFP publisher. The nasty LinkedIn threats seem a little much though. I feel the real issue has been exposed here and that is that there is a level of paranoia thinking that being able to track on Linkedin the career path of unprofessional procurement practitioners is not a threat, it is a reality. We live in a transparent and accountable age and until procurement people like this one understand this is the reality they will become less and less effective. 10. Are you going to consider us for your next RFP? We will definitely consider you for next time – if you behave and if you follow the rules. How condescending is this attitude? If we behave? You are not running a kindergarten here. Hopefully you are dealing with professionals who do not like being treated like children. The process demands transparency and accountability from the suppliers but they appear to not be willing to be held to the same. Happy to discuss this or debate this as it is important that if we want to improve the process we need to get a clearer understanding of the underlying causes of the actions supporting some of the current behaviours. Are you willing to join this conversation?